Experian is one of the three major credit reporting agencies in the country. Like the other two, Experian does make mistakes and it may be completely inadvertent or simply due to an error. It could be a human error or a systematic problem. Regardless of the nature of the error, you should file an official complaint and request for the error to be rectified. Each of the three credit bureaus has their respective processes for errors to be disputed and corrected. They are similar in many ways but you must be aware of the subtle differences to ensure an expedited process. It should be noted that all credit reporting agencies are bound by the same laws and they have to follow the statutes all the time. Hence, the turnaround time and the obligation to address the disputes are binding on Experian, Equifax and TransUnion. The first step is obviously to identity an error so you can dispute it but you would need your credit report to be able to do that. You can claim one credit report every year for no cost. This is applicable to all three major credit bureaus. Get the free credit report and check all relevant information. Start with your personal details. You should check your full name, present address as well as past addresses if any and social security number. Any errors in your name, address and social security number will not adversely affect your credit score. However, you should not take such errors lightly since they can be indicative of a more serious problem. Incorrect names and social security numbers may imply that some other accounts would be mistakenly associated with you. There is also a possibility that you have been a victim of identity theft. If all your personal details are accurate, move on to the various accounts mentioned in your credit report and check the veracity of each and every entry. These accounts are what would directly impact your credit score, positively or negatively. Look for accounts that are not yours. Check if the amounts mentioned are accurate. Some payments mentioned on your report may be flagged as late when you may have made timely repayments. There could be some public records that are not yours. These may be court judgments, liens or bankruptcies. You should also look for accounts or any information that has a negative impact on your credit score to figure out if they should no longer be listed or mentioned in your credit report. Old information should be excluded from credit reports. The time frame is usually seven years for normal information or accounts and ten years for certain cases of bankruptcy. You need to be sure that a particular entry is inaccurate, regardless of who is at fault. It is possible that Experian is not to be blamed as it depends on banks, lenders, public agencies, credit card companies and other sources to gather relevant information. Any of these sources may have fed the wrong details to Experian and that may have found its way to your credit report. Since you have to dispute an error that is not accurate, you have to ensure your claim is legitimate so you must crosscheck everything before you file a request. You must refer to your billing statements and all relevant documentation to be sure that a particular entry is wrong or inaccurate. There are three ways you can file a request to rectify an error. You can raise the dispute online through the official website of Experian. You may send a request by mail. You may also contact the helpline of Experian and initiate the process over the phone. It would be imperative to fill up a form and submit online or send a mail because relevant documents would be required to address the inaccurate entry or error. The entire process cannot be completed over the phone. Experian is required to respond to your request in thirty business days. It usually responds sooner. Whether or not the response would be as per your expectations is a subjective issue. You may also choose a credit repair service to dispute an error with Experian. The online application is the simplest process. You can visit the official website and use your credit report number assigned by Experian to get started. Fill up the form and provide all the required details. You would get to dispute specific entries on your report. You can provide supporting documents and submit the form. Experian will send you an email in response of receiving the request and then it would take up to thirty business days to address the dispute. In case this online application has some problem and you are unable to upload supporting documents or simply cannot proceed with the process, then you can always send a mail. You can dispute as many errors as you find on your Experian credit report. However, you would need to file every dispute separately. You can keep filing new disputes till all are addressed. You can also resubmit a request to address an error if it is not resolved to your satisfaction in thirty business days. However, you should provide additional documents when you resubmit a request as otherwise Experian will consider it is to be a nonstarter with the same old information being in consideration. You can mail your dispute if you do not like an online process or if you wish to keep a paper trail. You must mail the letter and supportive documents to the Experian’s National Consumer Assistance Center. The mailing address is P.O. Box 4500, Allen, TX 75013. Use certified mail so you get a return receipt. Always use your full name, social security number and date of birth, your present address and a proof of identification. Since mailing is not a regulated process and consumers have some liberty to how they would lay out the issues in the letter, it is best to contact the helpline of Experian to get some advice so the whole assessment can be expedited. Your letter should comprehensively explain the dispute and all supporting documents must also be properly described or indexed at least. Do not send originals. Xeroxes would do. In case you are mailing your dispute, Experian will also respond via mail. If you are filing your dispute online, you would receive a response in email. You can speak with a consumer support executive of Experian by calling 866-200-6020. Experian may agree with your claim and remove the negative information or any type of error your credit report may have. If the inaccurate entry had affected your credit score negatively, then you can expect a review and perhaps an immediate change in the points. If Experian does not agree with your claims and effectively turn down your request, then there would be no change whatsoever to your credit score or the report. The entry will remain till such time you prove your case. You can resubmit a request via mail or online. Experian will ask for additional documents. The credit bureau will tell you why they are right and you are wrong. You can use this reason for a follow-up. If there are any complications that you are unable to comprehend or address then you can choose a credit repair service. Experian may be fed wrong information by its sources. If that is the case, Experian will tell you that they have obtained a particular piece of information from the original or some other source and you would have the right to address that company or individual to have the correct information reported to the bureau. If it is a bank, lender, credit card company or even a landlord, then you can directly contact them and ask them to report the correct information to Experian. The process may seem complicated or long drawn but it is effective. Experian will acknowledge the reporting of the correct information by the same source and it will rectify the error on your credit report. If the information reported is right, as per Experian and the source, then you may consider a goodwill letter. There are lenders that are willing to not report negative developments to credit reporting agencies like Experian to be of some help to the debtor or borrower. Any entity dealing in credit would have to report their transactions to credit bureaus as that is how this whole credit history system works. But lenders have the right to not report some transactions if that helps the consumers. Not everyone gets into a debt intentionally. Many people who have piled up debts do keep repaying on time but repeated reporting of the same negative information reflects poorly on the credit history and weighs down the credit score. You can write a goodwill letter to your lender or creditor to not report such negative information. A goodwill letter is a formal business letter that should explain your situation. You must get into details and gently request the lender or creditor to help you out. This goodwill letter has to be as modest and honest as possible. It should be noted that lenders or creditors, whether banks or private entities, are not obligated to any borrower or debtor to accept any request made through such goodwill letters. The decision is absolutely their discretion. Some companies or entities will never entertain such goodwill letters. Some will so you would have to test your luck. You can always use a credit repair company to work on this goodwill letter and coordinate with your lenders or creditors as well as Experian. Goodwill letters are not only applicable when you have to dispute an error with Experian or prevent negative information from repeatedly showing up on your credit report. You may also use a goodwill letter to have a positive development get reflected on your credit report in a timely manner. It is possible Experian is not getting details pertaining to the positive accounts or transactions you have and this will have an adverse impact on your credit score. For instance, if you have already repaid a loan, perhaps before the end of the term, then that should be mentioned as such on your credit report. The lender or creditor should report the development and Experian should review your credit score accordingly. Always be factually accurate, impeccably honest and comprehensively prepared while disputing an error with Experian. You cannot make factually inaccurate claims. You have to substantiate your claims with irrefutable evidence. You cannot be found lacking evidence when asked. You should be meticulous with each aspect of your claim. Experian should not find any incoherence or inconsistency in your claims and that is if the problem is not resolved immediately and requires further correspondence. Always keep a track of every correspondence. Use certified mail and save every document you need. Keep original copies and be prepared to provide additional documentations as and when required or relevant. You must not make up facts or misreport anything. Do not make false claims and avoid casual declarations, even if they have nothing to do specifically with a particular entry. Experian is required by federal law to give you relevant details such as how it has obtained a particular piece of information and also how it has verified an entry that you have disputed. Use this law to get the details that may resolve the whole case for you. It is not unusual for Experian to have wrong information not owing to any fault of the organization but because of the source. 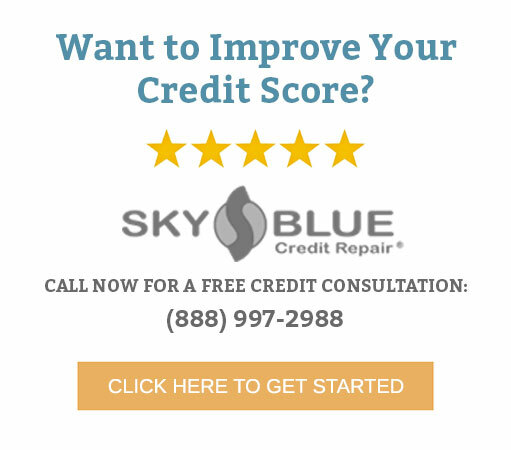 Stay abreast of your credit report at all times so you can dispute errors sooner than later, before you have to bear the brunt of a negative impact on your credit score for no valid reason.